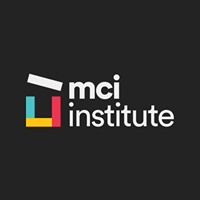 MCI Institute is an award winning registered training provider specialising in supported online business courses. As an industry leader in education technology and student support we offer you an engaging and immersive learning platform. Our experienced team provides you with a full circle of support for the duration of your study and will be there to celebrate when you reach graduation. Students choose to study with us to improve their job prospects. That's why we offer our students access to an experienced Career Advisor and service. Not only are we passionate about teaching our students practical and in-demand skills relevant to the modern workplace, we also want them to be in effective in their job search.